The US Citizenship and Immigration Services (USCIS) said it would resume premium processing of all H1B visa petitions filed on or before December 21, 2018, on Tuesday. However, this will bring a mild respite to Indian technology firms already grappling with a shortage of talent in the US, its largest market. Premium processing of H1B visas is like the “tatkaal” scheme, which allows processing of applications within 15 calendar days for an additional fee of $1,410 per application, apart from the base fee. This allows employers a faster route to get skilled talent in the US, and the Indian information technology (IT) industry has been a long-standing beneficiary of this programme. The US administration, under President Donald Trump, has made significant changes to the H1B visa system, including reversing the order in which the USCIS selects H1B petitions. This is likely to result in an increase in the number of petitions from applicants with a master's or a higher degree from a US institution of higher education. The immigration agency had suspended premium processing last April, citing a long-pending backlog. But, it was open for certain categories such as extension of H1B visa with the same employer. Peter Bendor-Samuel, chief executive officer, at research firm Everest Group, said it is a helpful move for the IT industry. “The importance of this development goes beyond the reinstatement of the accelerated H1B application as it signals a change in policy from the administration, with regard to high-skill immigration. The Indian firms will benefit from this,” he said. The USCIS also released data about the time taken to process visa applications since financial year 2015. The time taken to process a premium H1B application rose from 18 days in the last four years to 1 month in FY19 (until October 2018). The time taken to process a normal H-1B application also rose from 3.2 months in FY2018 to 5.2 months in FY2019. The National Association of Software and Services Companies (Nasscom), the industry body, said it was still assessing the impact of the announcement. "We are in touch with members to check implications. This only applies to filings prior to December 21, 2018, and does not have any implications on any filing after that, or filings that will happen in the upcoming lottery season," said Shivendra Singh, vice-president, global trade development, Nasscom. Immigration law firm Fragomen said it was not yet clear what will happen to the premium processing applications filed on or after December 22, 2018. "The USCIS has not yet announced whether premium processing will be available for the upcoming H1B cap season," it added. Given the tightening of H1B visa norms, Indian IT firms such as Tata Consultancy Services, Infosys, Wipro and HCL Technologies have upped their local hiring in the US. 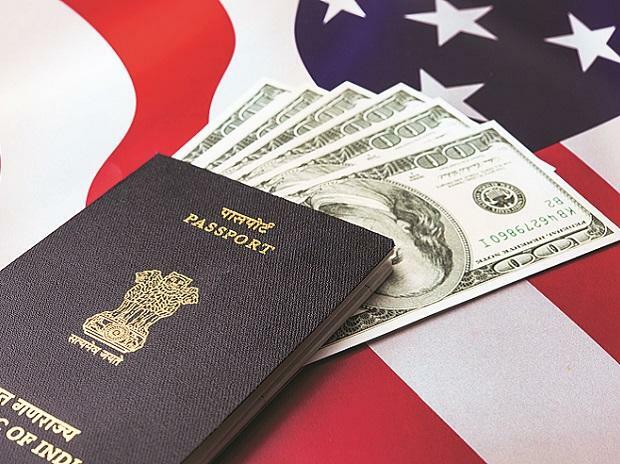 While the latest resumption in premium processing of H-1B visas will be a small breather for the IT firms, it will not be enough to bridge the demand-supply gap. “It (resuming premium processing) does not signal a reversal in the Indian firms' need or commitment to hire more US employees. We expect programmes such as Infosys' direct hiring from college to continue and accelerate. The need for skilled workers is so great that, even with all these improvements, there is still likely to be a shortage,” added Bendor-Samuel.